Are Black Boys Losing Hope? Recently, I read a very disturbing CNN article on the increase in suicides among Black boys. What? That can’t be — but, it’s true! Sadly, the suicide rates among black boys has now surpassed their White counterparts. As a mother of 3 sons, I was deeply moved by this article for several reasons, and wondered how would I cope if one of my sons lost the desire to live and took his own life. I can’t imagine what would drive a young, boy to the brink of hopelessness that he no longer desires to live! Researchers, who conducted the study, were just as surprised in seeing the dramatic increase among Black boys, since suicide rates have historically been higher in White boys. 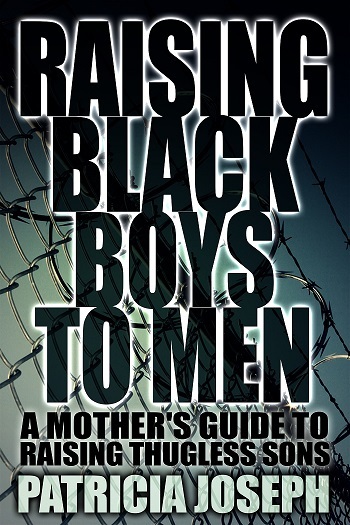 The study revealed that Black boys chose to take their own lives by hanging or suffocation. Is this a wake up call? Are Black boys losing hope and see no future for themselves? Better yet, what future are we, as adults, giving to our boys? Yeah, sure there could be a number of reasons why a young, boy would choose to take his own life. Researchers suggest that one reason is that Black children have more exposure to violence and aggression than Whites. But, are we, as adults, adding fuel to the fire by not providing them with a safe haven or positive outlets for self-expression? Children aren’t immune to society’s issues of racial inequality, poverty, violence, food injustice, and bigotry — they can sense when something is wrong! They may not understand the full context of things happening in their surrounding; all they know is that they feel scared. No child should feel alone and hopeless, without anyone to talk to. Sadly, mental illness treatment has long been a stigma in the Black community. But, isn’t saving our sons lives more important!